Decide whether you’d like to up-cycle your own materials OR use in-house, salvaged materials. Contact us! We can schedule an appointment. Then, we’ll be able to give you costing, iron out some details and solidify the timeline based on your needs and our process. 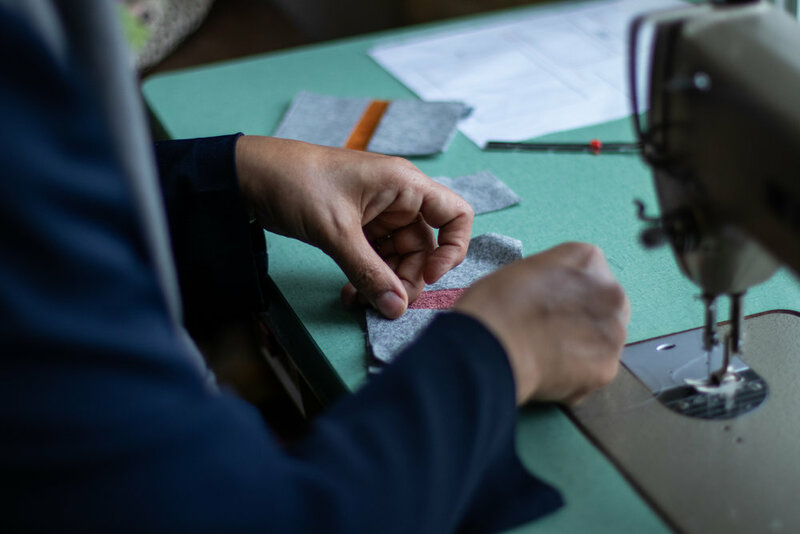 You’ve now elevated your company’s sustainability impact and have proven that it’s possible to support living wage jobs, divert textiles from the landfill, all while supporting the local supply chain and purchasing a quality product. HUG YOURSELF—you’re amazing!